How could you miss this? A ticket to the George Washington Whiskey Rebellion Fest, brought to you by the Community Trust Foundation gets you all this! 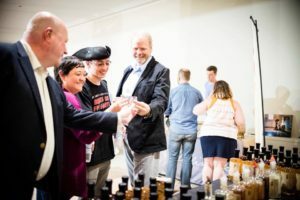 Tastings and sales of 17 brands of whiskey, vodka, brandy and rum including a Cumberland distiller, Maryland and Pennsylvania distillers, Jim Beam top shelf, and Irish and Japanese whiskies. Also, for the first time this year, artisan cordials. Tastings and sales of four craft beers: Dogfish Head, Antietam, Stone, and Terrapin. 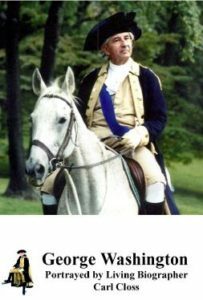 Chatting with nationally famous George Washington ‘living biographer’, and photos with him, too! Win fabulous items at the Silent Auction, including a flight in a glider and rental of the Grand Ballroom. Friday June 8, 6-10pm, Allegany Museum, 3 Pershing St Cumberland MD. Only $50 per ticket! ($75 at the door). Purchase through the Whiskey Rebellion Facebook page, click here or purchase at the Book Center, Cumberland, or Main St Books, Frostburg. 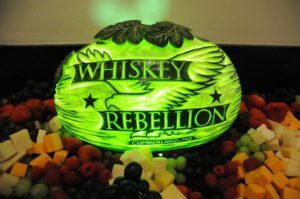 ← Join the Whiskey Rebellion After Party!